When I first decided I wanted a career as an author and not to just have a book with my name on it, I had to make a lot of serious choices. The decisions that faced me mostly had to do with publishing a professional product and not an amateurish piece of work that would end up being an embarrassment. I had friends who’d taken the cheap route and after the first few one- and two-star reviews, their warnings were enough. I resolved to either do it right or not at all. So, I worked out a budget for each book with the three main costs being editing, covers and formatting. Hell’s bells, when I remember how much I spent over the years in turning out properly formatted novels, I have to shake my head and swallow the cuss words. And…all I got in return for my $100 per book was a mobi file for Amazon. Now, because my formatter had a lot of other clients, I didn’t feel comfortable in asking him to upgrade the “Also author of…” page of my backlist for free. So I often felt frustrated that my readers weren’t being kept up-to-date on the newly published work. A few years and 25 books later, I decided to spread my books across all the venues available and not just publish on Amazon. When I shared the good news with my formatter, he dropped a bombshell. Because I’d been with him for so many years, he’d only charge me another $40 per book for the epub format which was necessary to carry out these plans. As much as I hated the idea of having to force-feed myself yet another technical procedure that would tax my non-techie brain, I knew it needed to be done. I would have to take on the job of formatting myself……groan! Thankfully, after asking other authors at a local workshop how they handled this part of their business, one very smart friend explained they used Pressbooks. It couldn’t be true! How had I missed out on learning about this earlier? Twenty-five books earlier? She explained the concept of the platform and I admit to feeling pessimistic. Copy and paste into a template, and get ebook, Kindle and print-on-demand files, all for $99. Well for heaven’s sake…which planet had I been occupying? That very day, I went home and opened an account. I’ll admit it took a couple of phone calls to my friend, watching the tutorial more than once and with the paperback PDF’s, a few emails to the very helpful Pressbooks administrator. But every time I push the export button and get three lovely formatted copies (MOBI, EPUB and PDF) of my updated work, I once again thank my guardian angel for sending me to that workshop. And…now that I’ve set up every one of my books on Pressbooks, I have a wonderful library of my work, all together on one platform where each book’s information is easy to maintain and always a click away. If my computer crashes, it’s no problem–my work is still safe. Mimi is an incredibly busy New York Times, USA Today and award-winning, best-selling author with five book series to her credit. The Vicarage Bench Series – Spirit/Time -Travel tales that have a surprising twist / The Angels with Attitude Series – Angels Love Romance / The Elvis Series – Make an Elvis song a book / Vegas Series – 6 books full of romantic suspense, humor and gritty conflicts / and… the fast-paced, edgy yet humorous romantic suspense, Undercover FBI Series. She also has numerous box collections and single titles to add to her credits. Mob Tracker is a new series she’s working on now and that is scheduled to be published in 2016. Her most recent release is a Christmas trilogy called Holiday Heartwarmers. 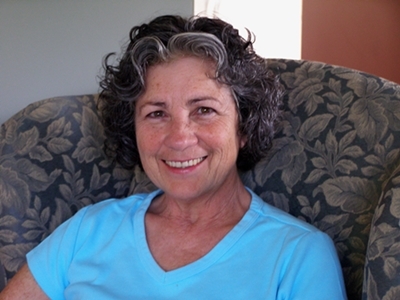 Mimi lives on the East coast of Vancouver Island with her loving husband and son. Gardening lights her inner fires, but alas, there’s just not enough time to be outside when fictional characters vie to be heard.